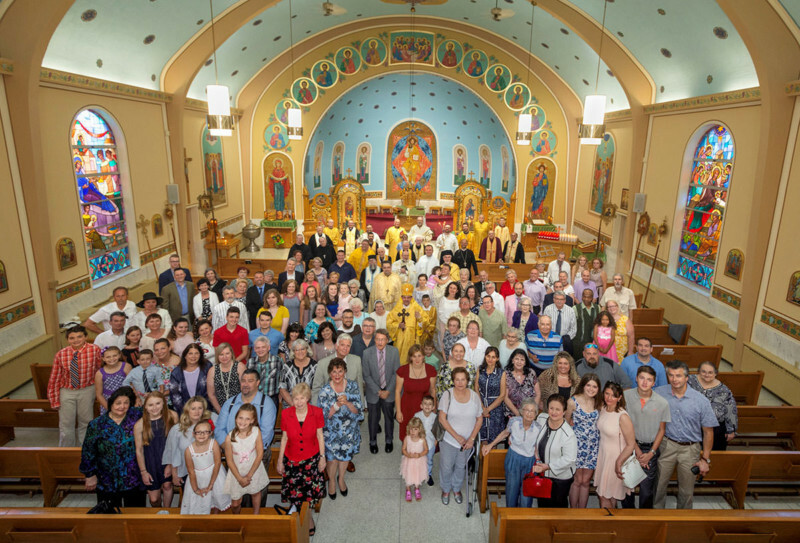 On Sunday, June 17, 2018, St. George Ukrainian Catholic Church in Pittsburgh, Pennsylvania – a parish of the Ukrainian Catholic Eparchy of St. Josaphat in Parma – solemnly celebrated its 100th anniversary in the presence of many clergy, religious, and lay people. The celebrations began with a Hierarchical Divine Liturgy presided over by Bishop Bohdan J. Danylo, Eparch of the Ukrainian Catholic Eparchy of St. Josaphat in Parma. The solemn Liturgy was concelebrated by many clergy, including Rev. Ihor Hohosha, pastor of St. George Church in Pittsburgh, PA and St. John the Baptist Church in McKees Rocks, PA; Very Rev. Michael Polosky, Pastor of Saints Peter and Paul Ukrainian Catholic Church in Ambridge, PA, Saints Peter and Paul Ukrainian Catholic Church in Aliquippa, PA, and Protosyncellus of St. Josaphat’s Eparchy; Right Rev. Archimandrite George Appleyard, former pastor of St. George Church and former Protosyncellus of the eparchy; Very Rev. Canon Steven Paliwoda, Eparchy’s Chancellor, Chief Financial Officer, and Pastor of St. John the Baptist Ukrainian Catholic Church in Lorain, OH; Rev. Fr. Valerian Michlik, former pastor of St. George Church and current pastor of St. Gregory Nazanius Byzantine Catholic Church in Upper St. Clair, PA.; and numerous clergy of the Ukrainian Catholic and Roman Catholic Churches. Rev. Deacon Mark Prokopovych of Sts. Peter and Paul Ukrainian Catholic Church in Ambridge, PA and Rev. Deacon Myron Spak of Holy Trinity Ukrainian Catholic Church in Carnegie, PA assisted at the Liturgy. The Liturgy took place in the filled church that was attended by St. George Church’s parishioners and guests. 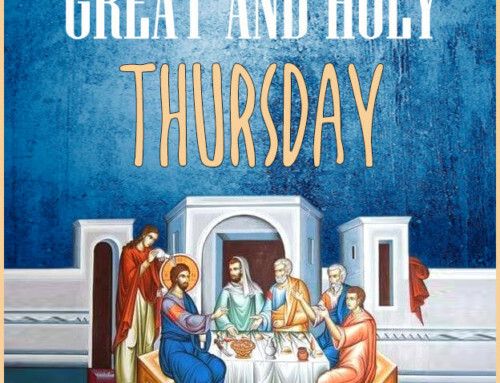 In his homily during the Liturgy, Bishop Bohdan, having summarized briefly St. George Church’s history and having praised the founders as well as the past and current members of the parish, focused on the necessity for the church to retain trust in the Lord. He encouraged the church’s parishioners not to be afraid to look into the future similarly to Jesus Christ’s disciples, who, after their Lord ascended into Heaven, likewise were fearful, yet at the same time remained hopeful in the Lord’s promise, which came to fulfilment, when the Lord sent upon them His Holy Spirit ten days later. Following the Eucharistic celebration, Bishop Bohdan briefly addressed the Ukrainian-speaking people of the parish in Ukrainian. Afterwards, Father Ihor thanked Bishop Bohdan and the concelebrating clergy for having visited his parish community, which was followed by a traditional Ukrainian “Many and Happy Years,” sung to the hierarchy, the clergy and the faithful of the Catholic Church, especially to St. George Church’s parishioners and the rest of the people gathered in the church. At the conclusion, a group photo was taken inside the church. The celebrations continued at the Mayernik Center in nearby Avonworth Park in Pittsburgh with a festive banquet, attended by ca. 200 people. The banquet included traditional Ukrainian music performed by Mozaika as well as traditional Ukrainian dancing presented by the Kyiv Ukrainian Dancers. A pictorial tribute was made to the founders, the clergy, and the faithful of St. George Church through a PowerPoint presentation that played during the cocktail hour. The festive banquet commenced with a traditional Ukrainian welcome dance and several dance selections from different regions of Ukraine. Following the dance presentation, Very Rev. Michael Polosky offered the invocation. During the dinner Msgr. George Appleyard and Fr. Valerian Michlik, past pastors of St. George Church shared some of their memories of St. George Church parish life with the attendees. Their reflections were candid, amusing, and inspiring. Afterwards, Father Ihor Hohosha addressed the audience, thanking Bishop Bohdan for his presence and expressing his gratitude to the entire parish community. The pastor likewise thanked all the present guests for coming to the celebration. Reflecting on the 100th Anniversary of the parish, Fr. Ihor and his wife Inna both reflected on the past 100 years and encouraged the attendees to think of this anniversary as a rebirth of the parish. Following Fr. Ihor’s remarks, Bishop Bohdan addressed the gathering, thanking and congratulating the pastor of the church, Father Ihor Hohosha and the parish community on the 100th anniversary of the church and wished everyone the choicest blessings of the Lord as they continue their journey of faith on the Lord’s life-giving path. The festivities concluded with a benediction by Rev. 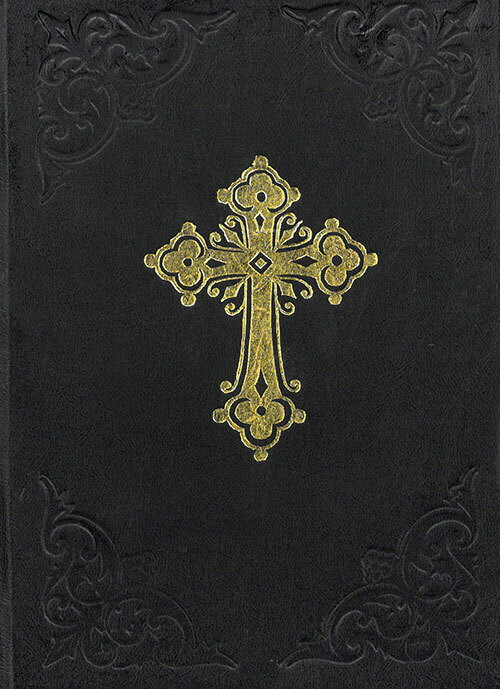 Ivan Chirovsky, Pastor St. John the Baptist Ukrainian Catholic Church in Pittsburgh, PA.
St. George’s is a member of the Ukrainian Greek Catholic Church (UGCC), which is the largest of the Eastern Catholic Churches sui juris. 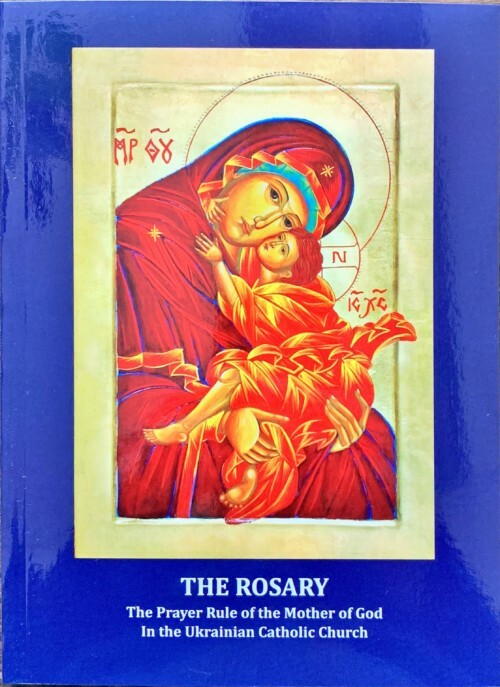 We are a Church of the Byzantine rite in full ecclesial communion with the Pope of Rome and acknowledge his spiritual and jurisdictional authority. Parish History: Emigrants from Western Ukraine came to the United States of America in the latter half of the nineteenth century, and began settling on the North Side of Pittsburgh during the late 1880’s. At first they worshiped with the congregation of Holy Ghost Byzantine Catholic Church, now located on Superior Avenue. But these early immigrants wanted to worship God in their new homeland according to the ancient traditions of their own ancestors. 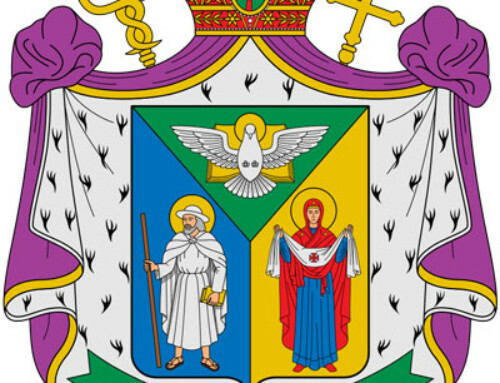 This ardent desire, and the wish to preserve a spiritual and cultural heritage for their children, prompted them to organize a Ukrainian Catholic Church of their own. With the great help of the fraternal lodges – the Ukrainian Knights of St. George, a branch of the Providence Association, and the Taras Shevchenko Branch of the National Aid Association – St. George Ukrainian Catholic Church was founded in 1918 as a mission. Divine Services were conducted in a rented hall by visiting priests from neighboring parishes. On April 14, 1918, with the appointment of Rev. Wolodymyr Ulianytsky as pastor and 18,000 dollars in the treasury, a decision was made to purchase property at 60 Doerr Street for the building of a church and school. Construction began that year and was completed the next. 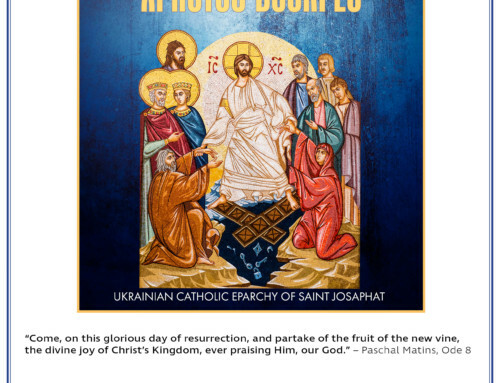 The church was dedicated on April 27, 1919, by the Apostolic Administrator for Ukrainian Catholics in the United States, the Right Reverend Peter Poniatishyn, who would himself become the pastor twenty-four years later, in 1943. This was an admirable achievement by the founders of St. George’s parish that were, for the most part, people with little, if any, and financial resources! The church became the center of community life for North Side Ukrainians. An early cantor and choir director, Mr. Wasyl Lozynsky, conducted daily Ukrainian school classes and organized the first church choir. In 1921, Professor John Korbecky assumed the post and held it until his death in 1969. Under his leadership the religious and cultural life of the parish soared to new heights. Over 150 students were enrolled annually in the school. The parish choir achieved great prominence in the Western Pennsylvania Ukrainian community and a drama group under his direction presented stage performances, providing parishioners with some welcome relaxation from their daily cares and woes. Although the parish and its members endured extreme economic hardships during the Great Depression, by the grace of God and their firm faith, the parish survived under the leadership of Rev. Wolodymyr Kozoriz. With the improving economic conditions of the late 1930’s, and the arrival of Rev. Peter Oleksiw as pastor in 1938, the parish devoted its efforts to improving the church structure. The entrance was remodeled; stained glass windows and an iconostasis were installed. Many religious and cultural activities were given new impetus. The enrollment in the school increased and the Sisters of St. Basil came to help with catechetical instructions. The church choir grew to a membership of sixty-five voices and reached new heights of prominence. The drama group also continued to stage productions. While the era of the Second World War saw a decline in parish life from what it had been, it leveled out and returned to normal in the post-war period of the late ‘40’s. In the year 1951, Rev. Eustace Weselowsky became pastor and the Rev. Henry Sagan became the first of a series of parochial vicars assigned to St. George’s parish. At that time it became clear that the City of Pittsburgh’s plans for redevelopment would necessitate the eventual relocation of the church. By 1962 serious planning for the design and construction of a new building became imperative. In that year, at an age when most people are preparing to retire, Rev. Wasyl Dzydzora was assigned as pastor to lead the congregation through the crucial phase. His unfailing good humor and patience inspired everyone and contributed greatly to the success of the building project. For their part, the parishioners rose to the challenge and gave of their time, talent and financial resources whole-heartedly. Ground-breaking ceremonies took place on July 2, 1967. Construction of the church and rectory began in August and continued through the following year. The first Divine Liturgy was celebrated in the new building on January 19, 1969, and the move to the new location was complete. Due to Professor Korbecky’s failing health, Mr. Michael Bilyk took over the position of cantor at that time and held it until his death in 1994. Metropolitan Ambrose (Senyshyn), Archbishop of Philadelphia, dedicated the new church on June 22, 1969, signaling the end of a uniquely successful building program: all building loans had been repaid and the parish was debt-free, due to the generosity of the parishioners and the never seizing hard work of the pyrohy workers. One of the most memorable events in the history of the parish was the visit of His Beatitude Patriarch Josyf (Slipyj), Cardinal and Confessor of Faith, on May 19, 1973. It was a poignant reunion between Rev. Wasyl Dzydzora the Patriarch, who had been rector of Holy Spirit Seminary in Lviv during the 1920’s when Rev. 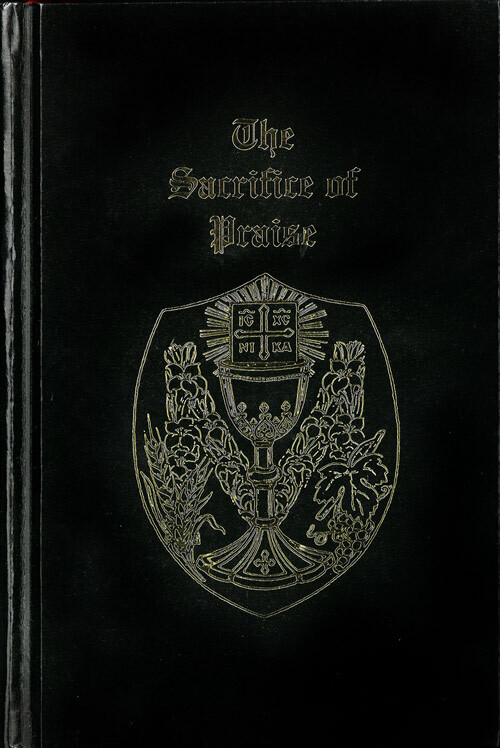 Wasyl Dzydzora was a seminarian. During his visit Patriarch Josyf made Fr. Wasyl one of the honorary canons of St. George Archcathedral in Lviv. The construction completed, the congregation continued its intense efforts to furnish and decorate the church in a traditional Byzantine style. On a pay-as-you-go basis, the stained glass windows, icon mosaics, an iconostasis, was well as an artful decoration of the interior, were all added to make St. George’s one of the most beautiful examples of a Ukrainian Catholic Church in typical Greco-Byzantine style. The completely redecorated church was rededicated by our Eparchial Bishop His Grace Bishop Robert (Moskal) on May 19, 1985. Nor was this the only program of revitalization and expansion undertaken by the parish. Rev. Wasyl Dzydzora and members of the parish were early supporters of the establishment of the Selfreliance Federal Credit Union. Properties adjacent to the church were purchased for possible future use. A plan for a senior citizens’ hi-rise at the church was mapped out by the parish, and negotiations with the U.S. Department of Housing and Urban Development initiated. Due to the scarcity of priests, Very Rev. Canon Wasyl Dzydzora continued to serve as pastor well beyond the normal term. In 1983, Rev. George Appleyard began assisting Fr. Wasyl as a visiting priest from the neighboring parish of St. John the Baptist in McKees Rocks. At Rev. Wasyl Dzydzora’s retirement in 1984 at the age of 88, His Grace Bishop Robert conferred on him the rank and dignity of Archpriest, and Rev. George Appleyard succeeded him as pastor. Rev. George Appleyard began his pastoral ministry at St. George’s just after the creation of the Ukrainian Catholic Eparchy of St. Josaphat by His Holiness Pope John Paul II (December 3, 1983). It was under his direction that the senior citizens’ hi-rise was completed and dedicated in 1986 and a five story apartment complex dedicated to the memory of the Servant of God Metropolitan Andrey Sheptytsky now stands behind the church. During his years at St. George’s Rev. George Appleyard was very much involved in the catechetical program of the parish and ran a very successful “Teen Talk” for the young people of the parish. Besides his parochial ministry Fr. George is well known for his education and retreat ministry. 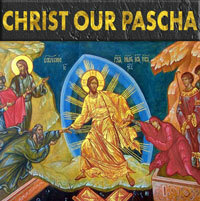 He has published many articles explaining the Byzantine spiritual legacy. On June 17, 1990, Patriarch’s Josyf’s successor Patriarch and Cardinal Myroslav Ivan (Lubachivsky), visited St. George’s and blessed a site in the front of the church complex for a granite monument to mark the millennium of Christianity in Ukraine and the approaching diamond jubilee of the parish. In the year 1994 Rev. George Appleyard was named Monsignor, Papal Chaplain by Pope John Paul II. Being always very much involved in the ecumenical dialogue and activity of churches, through him St. George’s became a member of the Northside Common Ministries. In recognition of his priestly ministry and through the initiative of the parishioners, Msgr. George Appleyard was awarded in 1995 by the Serra Club of Pittsburgh the Good Shepherd Award. A second housing project for the elderly called St. George’s Close was also initiated by Msgr. George Appleyard. These 18 all-brick apartments adjoining the church were dedicated on April 21, 2002, by His Grace Bishop Robert. After the transfer of Msgr. George Appleyard in 1999, the following priests served the parish family of St. George’s: Rev. Roman Harwas, Rev. Andrew Marko and Rev. Steven Paliwoda. On August 1, 2001, Fr. Valerian M. Michlik began his priestly ministry serving our parish family. During Fr. Valerian’s tenure, parish activities were revitalized and new programs introduced. The catechetical program grew with an influx of children requiring instruction in the faith. 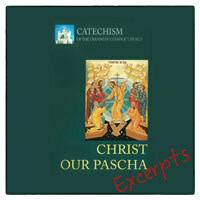 Along with the catechetical program the participatory role of children in Divine Liturgy was expanded. 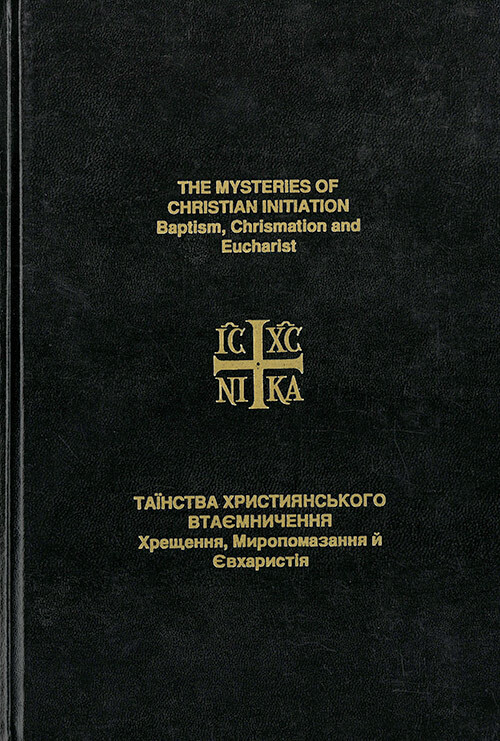 A Lector program was initiated to involve the parish faithful in the Divine Liturgy in a way not previously available to them. 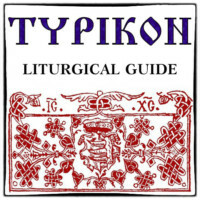 Prayer services (seasonal Molebens and Akathist Hymns) not previously celebrated were introduced as a way to provide the faithful with a more vigorous spiritual life. Education programs for adults were also made available to enhance the understanding of our faith traditions. The Bethany ministry to tend to the needs of shut-ins, the elderly and ill, was also initiated with great success. Regular monthly coffee socials were held to provide a forum for parishioners to experience Christian fellowship. The parish became a vibrant example of people working together for the good of the church, the good of their families, and the good of the parish. In August 2012, after eleven years of service Fr. Valerian Michlik moved on to a new parish and was succeeded by Fr. Ihor Hohosha. Fr. Ihor was known to parishioners at St. George as he was the pastor at a neighboring parish, St. John the Baptist in McKees Rocks. In August 2012, Fr. Ihor became the pastor at St. George and remained the pastor at St. John the Baptist. In working to meet the needs of the faithful, along with Sunday Divine Liturgy, weekly midweek prayers services such as Molebens and Akathist Hymns were offered. A midweek Latin rite Mass is offered at Sheptytsky Arms, the senior citizens high rise apartment building. In this day and age, while meeting the spiritual needs of the faithful, priests must also be concerned with maintaining financial viability. Multiple fundraising activities have been initiated to assure the continued viability of the parish. The pyrohi project has been maintained and has grown as the result of advertising. In November 2016 and November 2017, Pierogie Fest was introduced as a major fundraiser and both were resounding successes. As the current church building approaches its 50th birthday, activities to maintain structural integrity have been ongoing. During the summer of 2016 a major renovation project on the interior of the church was undertaken. The interior renovations were planned, supervised, and executed by Volodymyr Mayorchak. The interior was repainted in its entirety, three new icons were added, and plaster repair work was performed. The new icons in the dome behind the altar honor Metropolitan Andrey Sheptytsky and Patriarch Josyf Slipyj. A new icon on the choir loft features the face of Christ on Veronica’s Veil. The front steps and handicap ramp were also updated. The parish family continues to work with Fr. Ihor to maintain not just the physical structure but the spiritual structure of our Church. St. George was also fortunate to be served by Fr. Deacon Andriy Kelt for 4 years. Fr. Deacon Andriy was very involved with educational efforts and spiritual development of parishioners. Most notably, he provided educational programs about our faith at the monthly coffee socials. Fr. Deacon Andriy also enriched the Divine Liturgy on Sundays with his service. Fr. Deacon Andriy became Fr. Andriy Kelt in August 2016 and is serving at his own parish in Northern Cambria. These people and these activities have made it possible for the parish of St. George to reach this point in our history – 100 years. We celebrate the Centennial Anniversary of our Church by remembering sacrifices made by our ancestors and the original founders of our church, the priests who have served this church and worked to make it vibrant and a source of spiritual strength and comfort for its parishioners, and the parishioners who worked and continue to work to assure the continuity of our Church. While remembering those who have already passed into eternity, we look forward to the future and work to transmit our faith and our traditions to the children of our parish. We look forward to another 100 years! В одну із літніх неділь, 17 червня 2018, парафія св. Юрія в м. Піттсбург, штат Пенсильванія (США), що належить до Єпархії св. Йосафата в Пармі УГКЦ, урочисто відсвяткувала свій столітній ювілей в значній присутності духовенства, богопосвячених осіб та мирян. Святкування розпочалося Архиєрейською Божественною Літургією, яку очолив владика Богдан (Данило), Єпископ Єпархії св. Йосафата в Пармі УГКЦ, якому співслужили о. Ігор Гогоша, парох Церкви св. Юрія та парох Церкви св. Івана Хрестителя УГКЦ в МакКіз Рокс, штат Пенсильванія; протоєрей Михайло Полоський, парох Церкви свв. апп. Петра та Павла УГКЦ в м. Ембридж, Церкви свв. апп. Петра та Павла УГКЦ в м. Аликвипа (штат Пенсильванія) який також є Протосинкелом єпархії св. Йосафата; протоєрей архимандрит Джордж Епл’ярд, бувший парох Церкви св. Юрія та бувший Протосинкел Єпархії св. Йосафата; протоєрей Стефан Паливода, єпархіальний Канцлер та Економ як також парох Церкви св. Івана Хрестителя в м. Лорейн, штат Огайо; о. Валеріян Міхлік, один з бувших парохів Церкви св. Юрія, який на даний час служить парохом Церкви св. Григорія Ніського Візантійської Католицької Церкви в м. Аппер Сейнт Клер, штат Пенсильванія; а також за участю дияконів Марка Прокоповича з Церкви свв. апп. Петра і Павла УГКЦ в м. Ембридж, штат Пенсильванія, диякона Мирона Шпака з Церкви Пресвятої Тройці УГКЦ в м. Карнегі, штат Пенсильванія та інших членів духовенства. Храм був переповнений вірними парафії та людьми які бажали в цей день розділити радість столітнього ювілею із святковою громадою. Під час літургійної проповіді владика Богдан коротко підсумував історію створення громади Церкви св. Юрія та з вдячністю згадав засновників та фундаторів цієї парафії. Він заохотив парафіян церкви не боятися дивитися в майбутнє та брати приклад з Христових апостолів, які після Христового Вознесіння на Небо були безстрашні у сповненні Його заповідей, вірили в Господню обіцянку, яка здійснилася десять днів по Його Вознесінні. Владика Богдан також звернувся і до україномовних вірян зі своїм пастирським словом. По завершенні Божественної Літургії парох церкви, о. Ігор Гогоша привітав парафіян з Ювілеєм, висловив подяку усім священнослужителям за співслужіння та побажав Господнього благословення для єрарха, духовенства та вірних. Святкування продовжилося в бенкетному центрі «Маєрник» в м. Піттсбург де присутні взяли участь у святковій програмі разом з парохами які служили в парафії св. Юрія як також парохом який служить для вірних цієї церкви на даний час о. Ігорем Гогошею. Святкова програма також включала виступ танцювального гурту «Київ» під керівництвом пані Капелюх та святкову вечерю. Владика Богдан (Данило) рівно ж звернувся зі словом до святкової громади. На закінчення святкування о. Ігор Гогоша висловив подяку владиці Богданові за присутність та благословення для парафіяльної громади. Роздумуючи над столітнім святкуванням парафії, о. Ігор разом з дружинною Інною висловили сподівання що того, що це унікальна можливість поглянути назад і оцінити яку велику цінність ми маємо сьогодні та побажали парафії стати Ноєвим Ковчегом для всіх хто спраглий Божої Любові і Правди.